Welcome to the November 17th edition of Tuesday Couch Potatoes where we post about a movie each week. Last week, we had Western Movies and there wasn't much response to it, probably because many Couchers haven't warmed up to this genre yet. 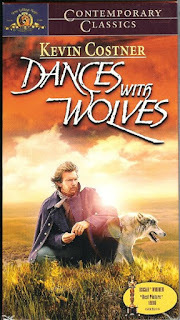 Anyway, if you haven't seen the Kevin Costner starrer film entitled Dances with Wolves yet, then head on to Hazel's blog: Delineating Des to take a peek and find out why she liked the film. And on to this week's feature: Movies about President or Their First Families. If you love politics, the comings and goings in the White House, the President's struggles between family life, love and national responsibilities, or if you just want things to be different for the President and the first family, then come share your movie with us. I would like to feature The American President, a 1995 film starring Annette Bening as Sydney Wade and Michael Douglas as President Andrew Shephard. I love the plot, and I love how this President was able to fulfill his responsibilities in the office as well as the needs of the woman he loves. This is a romantic comedy that is worth watching. Be amused at the President's attempts to go on a date with Wade until he successfully gets one and feel his loneliness as he struggles to raise his daughter. The story takes place when the President is approaching the end of his first term where approval ratings count, the enquiring press had to be satisfied with the right answers and not to mention a strong policitcal opponent who is watching your every move. Do check out other Coucher's entries for this week. And if you are joining us, please don't forget to leave the link URL to your TCP's ENTRY at the MckLinky below. And oh, we appreciate your comments too! That's it for this week Tuesday Couch Potatoes. We'll see you again next week for our feature, Animals Rule!, where animals, well... RULE! Thank you so much for joining us. Till next TCP! Hugs! yummy pa si Michael Douglas dito, his character potrays a real gentleman (tipong dream guy and dating), ahihihi. The American President was on HBO either last year or just several months ago. That's where I watched it, and I liked it. Have watched this film but did not finish the movie, only the first half. I think I better watch this film again as seen in theatrical preview. I love this movie. If I made a second pick, it would have been this one. I love that he tried to get her flowers and the florist couldn't believe it. same entry tyo kikamz. :) but really, it's one great film. i really liked it. I thought I can't join this week Mommy.I can't remember kasi kung ano ang tittle ng napanood kong movie about on todays theme.I even think about Michael Douglas film for I saw this movie too,kaya lang talagang hindi ko matandaan then may naalala pa akong isang old movie so decided to call my father back home in P.I juts to ask him kung anong tittle ng movie. Yeah ang bata pa ni Michael dito & Na-inlove talaga ako sa movie na to.Ang sweet sweet na President ni Michael sa movie na 'to. Mine's up now buti na lang nakahabol hehe. I just saw this movie last week on TV kikamz and it was funny and okay. Parang gising pa ang may ari ng bahay na ito ahh hehehe busy sa pag tweak ng layout lol. my entry is up too! happy tcp!